Gender Inclusive offers a challenging and unconventional reinterpretation of gender and mass violence. How gender shapes men and women as victims and perpetrators of mass violence, including genocide. The range of gender-selective atrocities inflicted upon males, especially the gendercidal killing of civilian men of "battle age." The victimization of women and girls worldwide, including the structural forms of violence ("gendercidal institutions") directed against them. Genocidal violence throughout modern history, with a particular focus on the Balkans and Rwanda. In-depth critiques of prevailing gender framings in academic scholarship, mass media, and the policy sphere. Adam Jones - recently selected as "one of fifty key thinkers in Holocaust and genocide studies" - contests prevailing interpretations of gender and violence, arguing that they fail to capture the broad range of gendered experience. His global-historical treatment is essential reading for anyone with an interest in genocide, human rights and gender studies. 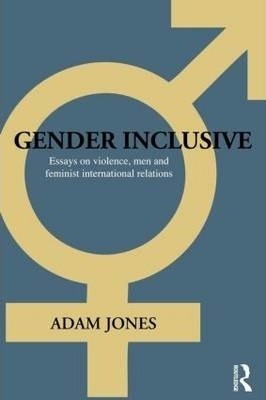 "In this collection of essays, Adam Jones examines in some depth the idea that men are specifically targeted in mass violence, drawing on compelling evidence of massacres of battle-age males from the classical wars to the twentieth century Holocaust and genocides. ... The collection also draws attention to male victims of mass violence, not only in an instrumental way, in order to better protect those considered more vulnerable, but also because they are victims in their own right and deserve protection and justice. ... Adam Jones brings a welcome sophistication to gender analysis in relation to mass violence, and specifically genocide. While the earlier essays are more provocative in challenging notions of female victimisation and male aggression as the dominant model, as his thinking evolves over the two decades covered in this collection, he retains a balance between the necessity of acknowledging the ways in which women are affected by mass violence, and what he terms gendercidal institutions, with a robust attempt to bring male suffering into the picture. ... For those seeking to push forward a more inclusive understanding of gender within their own work and institutions, this book provides inspiration and crucial evidence, to take forward that goal."